On the morning of August 4, 1892 a house in the sleepy town of Falls River, Massachusetts became a heinous crime scene, capturing the public’s intrigue. Two of the home’s occupants were brutally murdered, each being hacked several times in the head with a murder weapon suspected to be a hatchet. 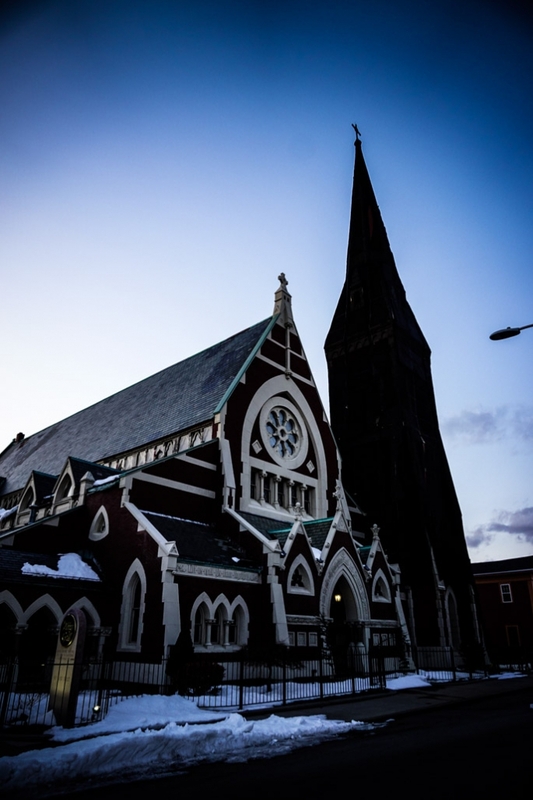 This event thrust the victim’s daughter, Lizzie Borden, into murder suspect infamy. The living room where Andrew Borden was murdered. A prop hatchet is on display on the couch. Abby Borden, Lizzie’s step mother, was the first to be murdered within the house. She was killed inside the front bedroom, whilst fixing the bed that John Morse (Lizzie and her sister Emma’s uncle) had slept in the prior night. Forensics established that Abby was face to face with her murderer when she was attacked. Since she didn’t put a fight it is theorized that she was familiar with them. She received one blow to the left side of her face, stunning and causing her to turn and fall on her front. Her killer then continued to strike her in the back of the head, hitting her a total of 19 times. It is believed that Abby was killed at approximately 9.30am. Around an hour and a half later, Andrew Borden returned home early to take a nap, before his scheduled noon lunch with John Morse. He laid back on the couch in the lounge room and fell asleep, never to awake. During this time he was murdered, receiving 11 strikes to the head with the same murder weapon that ended his wife’s life. Andrew didn’t see the attack coming and was presumed asleep when the first blow made contact. The only people at home during the murders were Lizzie Borden and the family maid, Bridget Sullivan – referred to as Maggie. John Morse had left to run errands in town and Emma Borden was traveling out of town. Just after 11am Lizzie discovered the body of her deceased father. Upon sighting the body she yelled “Maggie, come quick! Father’s dead. 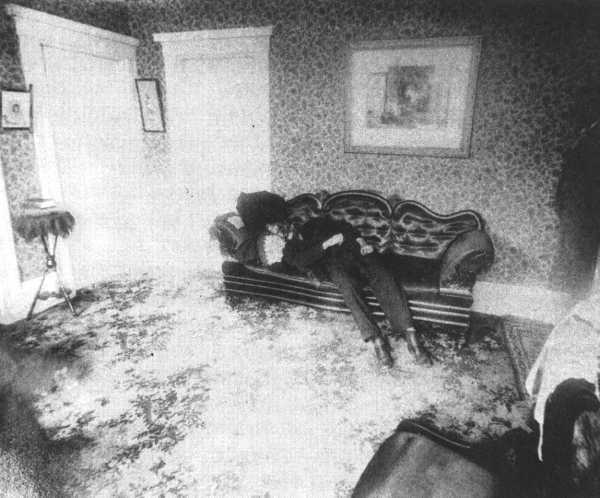 Somebody came in and killed him.” The body of Abby Borden was discovered soon after by Maggie and the Borden’s neighbor, after her whereabouts was questioned. The two women went to look for her upstairs after Lizzie remarked she had heard her come home earlier. As they escalated the staircase they spotted Abby’s body in the bedroom, lying in a pool of her own blood. Display in the Borden House family room where Andrew Borden was murdered. Top photo shows a portrait of Lizzie Borden, left photo is the crime scene photo of Andrew Borden’s body and the right photo shows the hatchet found in the home’s basement (later found not to be the actual murder weapon). To this day the Borden murders remain unsolved, yet there are several theories as to who the murderer or murderers could have been. Lizzie was a prime suspect and although found innocent, popular belief still holds her as a likely killer. Primitive forensics and many inconsistencies in the investigation have added to the mystique of the case. 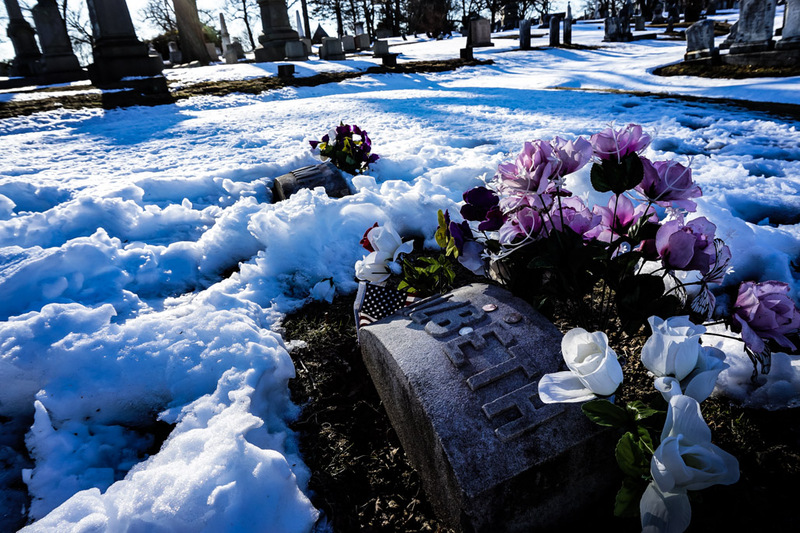 Lizzie Borden’s grave site at the Oak Grove Cemetery in Falls River, marked as Lizbeth. Lizzie was eventually cleared of murder charges by an all-male jury who couldn’t fathom a woman of that day and age committing such a brutal act. Lizzie indeed had motive. Many believe that greed in the form of inheriting her wealthy father’s fortune could be one reason for Lizzie to commit the murders. Majority of the inconsistencies in the case came from Lizzie’s own testaments. In the days following the murders, interviews with Lizzie reveal a scattered timeline of how she recalled the events. Although, it should be noted that she was on a large dose of morphine to deal with her anxiety over the murders. Other compelling evidence came from the testimony of the local drug store clerk. He stated that Lizzie had attempted to purchase Prussic Acid just the day before the deaths of her family members. She claimed this was to clean a piece of clothing. The sale was denied since the item can act as a fatal poison. Finally, a close friend of the Borden’s who stayed with Lizzie after the murders to console her, gave another troubling witness testimony in court. She stated that Lizzie had burnt a dress in the oven after the murders, stating that it was ruined as it was covered in dark paint. Though this is plausible, many believe that Lizzie may have burnt a blood-soaked dress she could have worn at the time of the murders. Another suspect in the case was the family’s maid. 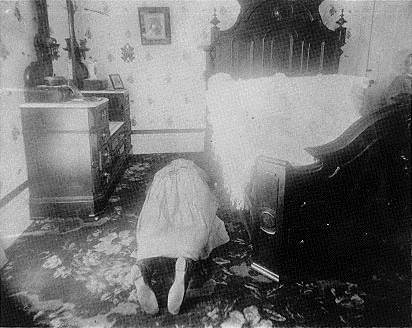 Maggie was asleep in her room upstairs when she heard Lizzie make the discovery of her father’s body. She had decided to take a nap after cleaning the outside windows, which was later confirmed by a neighbor who had spoken to her as she cleaned. This alibi eventually cleared her name. Some still believe that Maggie may have known more than she let on, with some more elaborate theories stating that Maggie and Lizzie worked together to commit the murders. Some versions of this unlikely theory go as far to state that Lizzie and Maggie may have even been lovers. 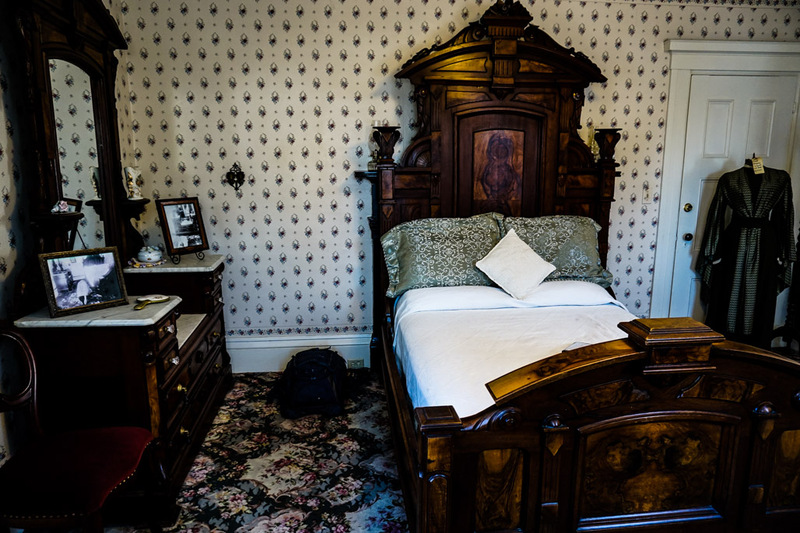 The Borden’s maid, Maggie’s bedroom. Another theory posits John Morse as a suspect. John, who was paying the Borden’s a rare visit at the time of the murders, held no blood relation to Abby or Andrew. He was related to Lizzie and Emma’s late mother, making him only blood related to the two girls. It is believed that he had some inside knowledge of how Andrew was dealing with his current finances, which favored his wife over his own two daughters. Although out of the house at the time of the murders, he provided an aggressively detailed alibi that the average person wouldn’t be able to describe. It is theorized that Morse could have still been involved in the murders and possibly conspired with Lizzie and Emma to commit them. The front stairs inside the Borden house. Unsolved murder cases, especially those as brutal and strange as this one, usually give birth to many theories such as the above. Today, this case remains unsolved, with Lizzie Borden remaining the most popular murder suspect. 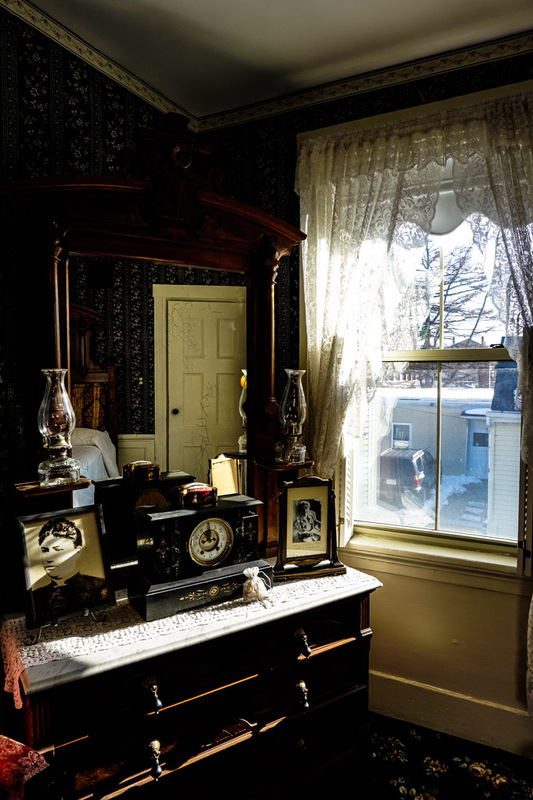 Window and dresser inside Andrew and Abby Borden’s former bedroom. The home that these atrocious murders were committed in still stands today. It has been restored impeccably to represent what it would have looked like at the time of the murders. 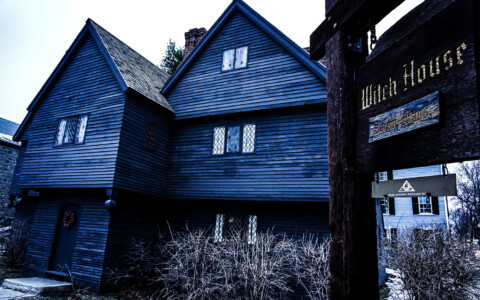 Today, it operates as a macabre Bed and Breakfast, popular amongst true crime fanatics and the paranormal community. 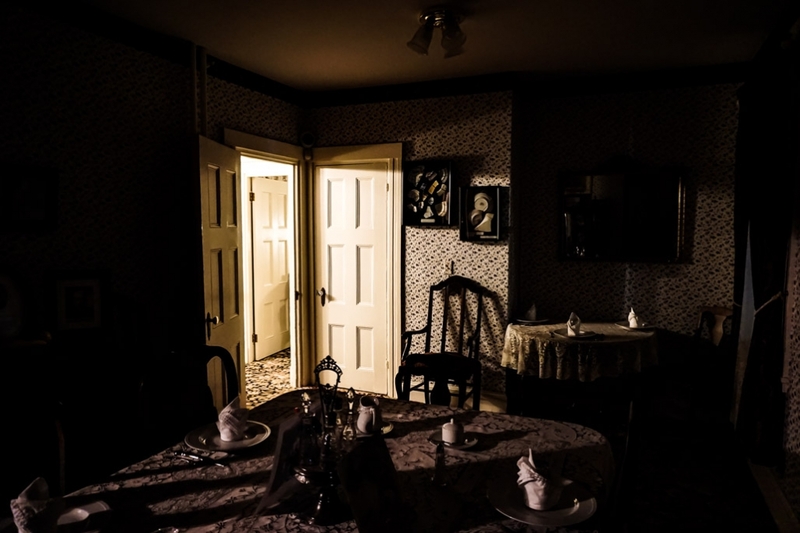 The dining room of the Borden house, which doubled as an autopsy room after the Borden murders. Any home having such a strong relationship with death surely has some strange stories behind it. 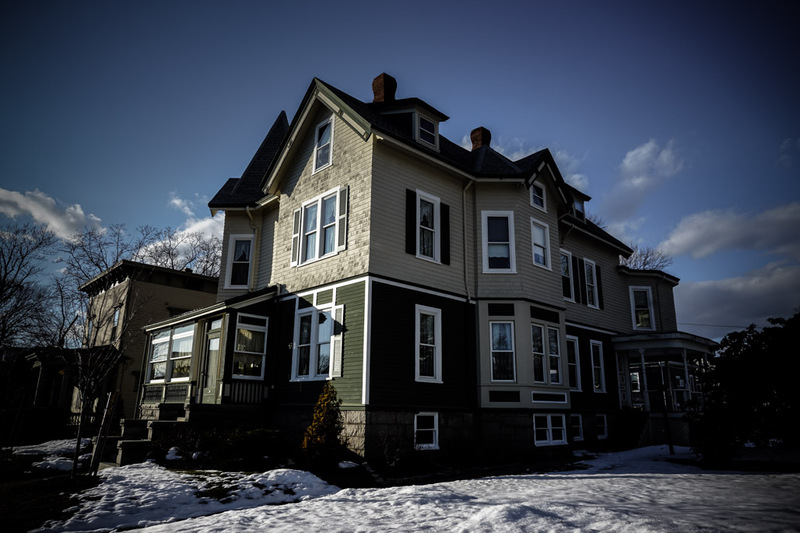 The Lizzie Borden Murder House is no exception. It is believed by many that both Abby and Andrew Borden remain in their beloved home, where they met their sudden deaths. Many have reported sighting the Bordens, feeling their presence and even hearing their voices whilst in the house. Numerous photographs taken from inside the home also show some pretty compelling evidence of their ghosts. 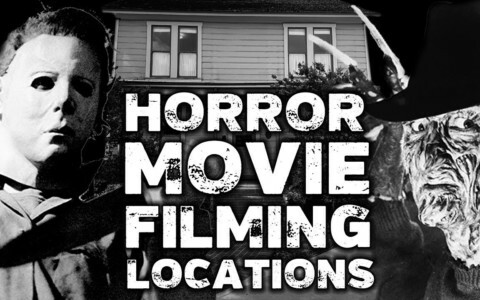 These include a misty figure looking over the bed in the front room where Abby was murdered and a face that looks eerily similar to that of Abby captured staring out the back window of the house. 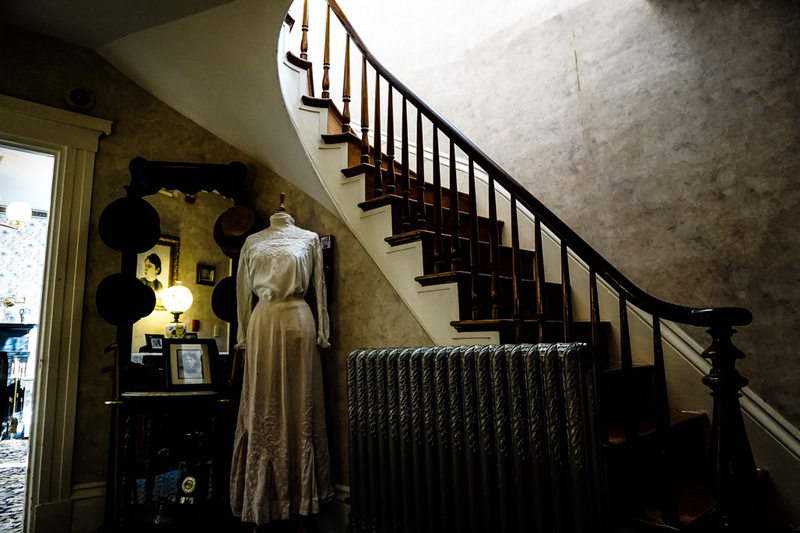 Additionally, a shadow entity has been captured and seen around the house, in particular the back staircase, this is thought to be that of Andrew Borden. 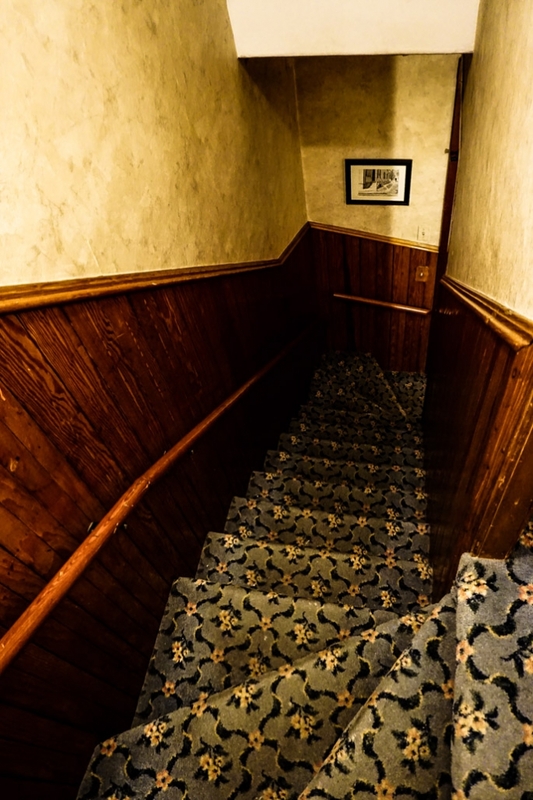 The back staircase of the Lizzie Borden House where shadow figures have been spotted. Countless other light anomalies, EVP’s of voices and similar sightings have been witnessed and recorded inside the house. 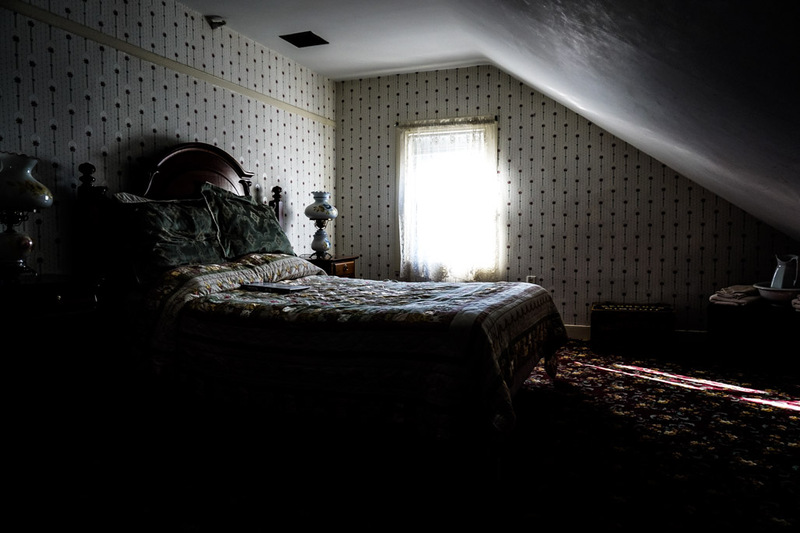 Another interesting photograph captured a light orb inside the murder bedroom. When this light is enlarged it looks eerily similar to John Morse’s face. Inside the John Morse aka Murder Room. Abby Borden was murdered to the left of the bed. Crime scene photographs of her body are displayed on the dresser. Interestingly these famous Borden murders have not been the only ones and other spirits may have taken up residence in the house. Years before Andrew and Abby Borden were murdered, another lesser known tragic event took place in the house right next door. Sadly, a woman suffering from postpartum depression (Eliza Darling Borden) threw her three children into the property’s well. She then proceeded to kill herself within her home, slicing through her neck with a razor. One of the children managed to survive, the other two were not as fortunate. 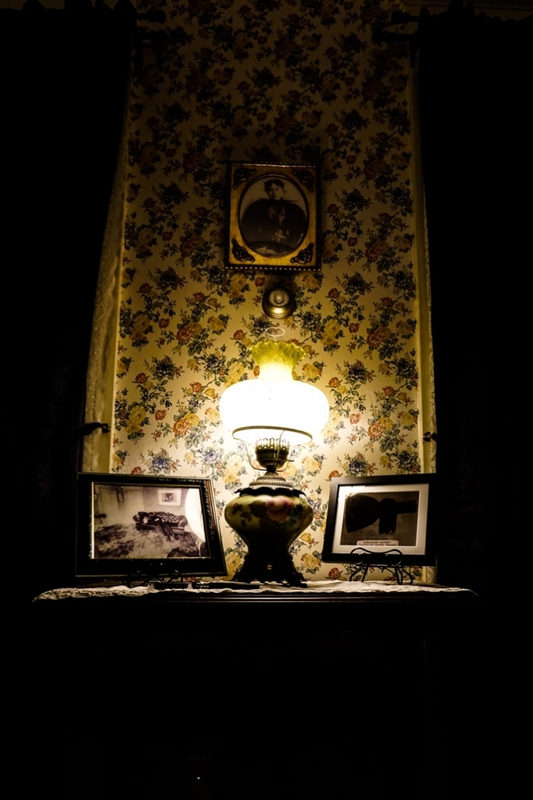 The spirits of these lost children are thought to linger in the upstairs area of the Borden house, where toys are left out for them. It is common to hear them playing, sight them and see toys move. Cabinet in the Borden dining room displaying photographs of Andrew and Abby Borden’s skulls, as well as model recreations of them. The Lizzie Borden House is open for daily tours, which take guests throughout the home whilst explaining the history and murders in depth. Overnight stays are also available with the home working as a functional bed and breakfast. 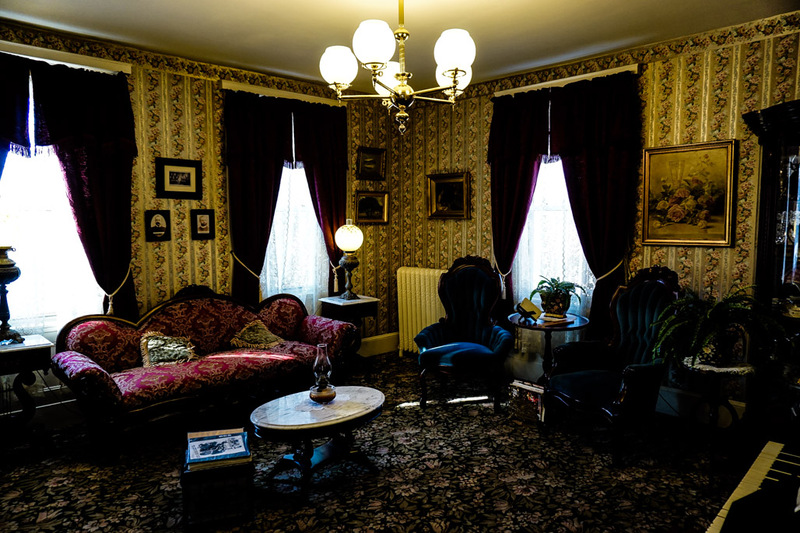 A stay at the Lizzie Borden House includes a longer, more detailed, two hour tour in addition to a room. Various rooms, each named after former occupants, can be chosen to stay in. I opted for the John Morse room, also known as the murder room. 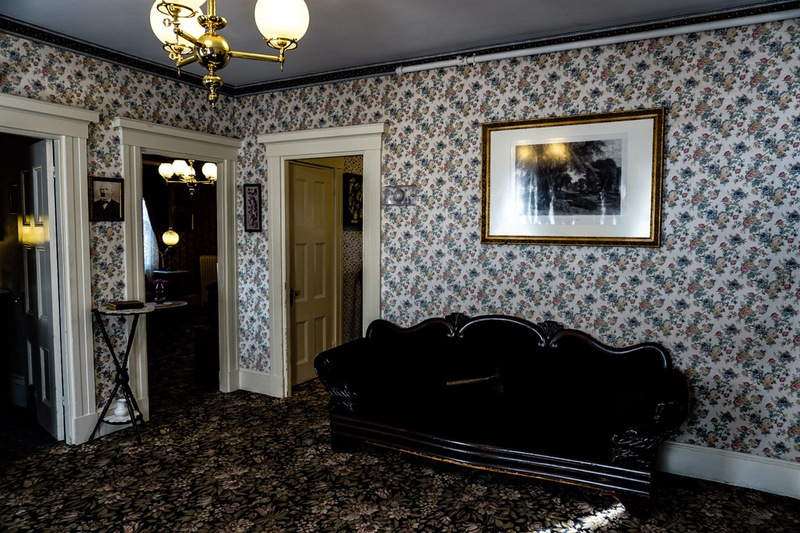 Front room inside the Lizzie Borden Bed and Breakfast. Showing the incredible recreated rooms. Each area of the house has been decorated as closely as possible to what it would have looked like during the late 1800’s. 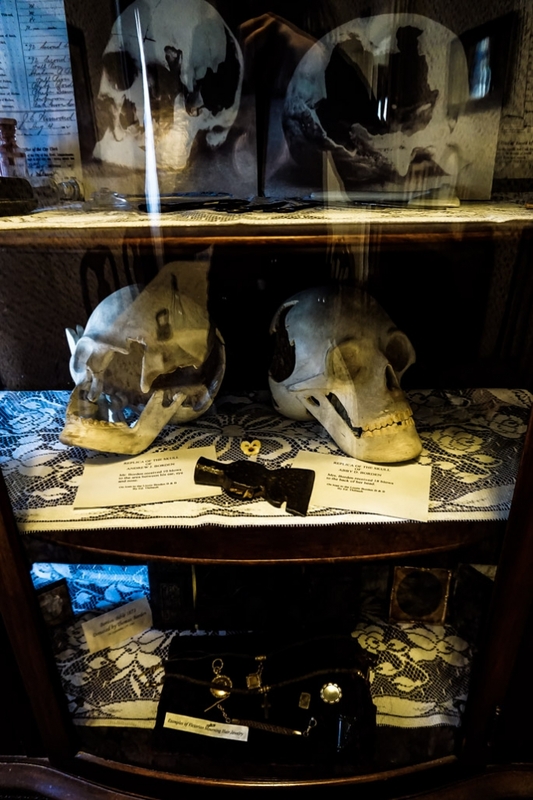 Crime scene photos are placed in the areas where murders happened and other memorabilia, such as recreated figures of the Borden’s hacked skulls can be found around the home. 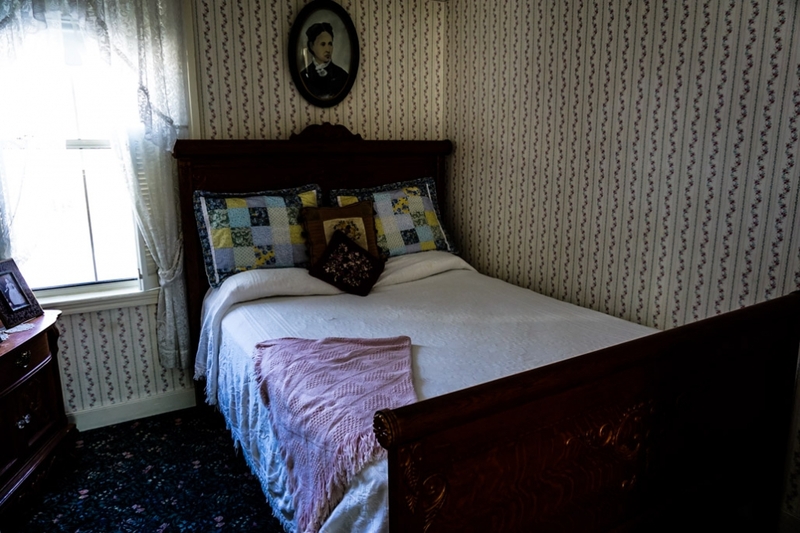 My bedroom featured the photos of Abby Borden’s deceased body lying on the floor next to the bed I was to sleep in. The Abbey Grille located inside the former church that the Borden’s once visited. 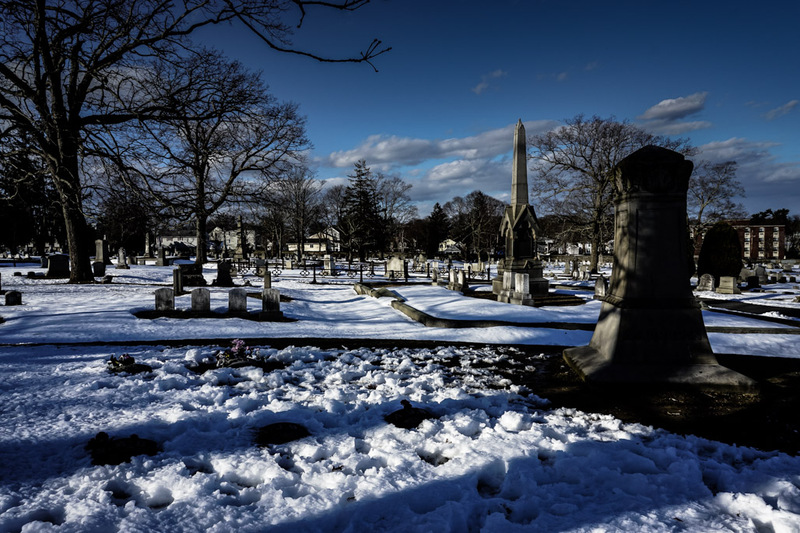 Nearby sites in the area worth a visit include Fall River’s Oak Grove Cemetery where the Borden’s are buried. The Maplecroft house where Lizzie lived out the remainder of her days after being found innocent. This is just a short drive or walk from the cemetery. I also recommend the Abbey Grille for a meal, which exists in the local church that the Borden’s frequented and where Lizzie taught Sunday School. The Maplecroft House, which Lizzie named and purchased after being declared innocent of her parent’s murders. My tour guide, Danielle, was knowledgeable and fun. She took the time to answer all questions, listened to theories of guests and shared her own. Currently studying history, it was obvious she was interested in and passionate about the Borden case. 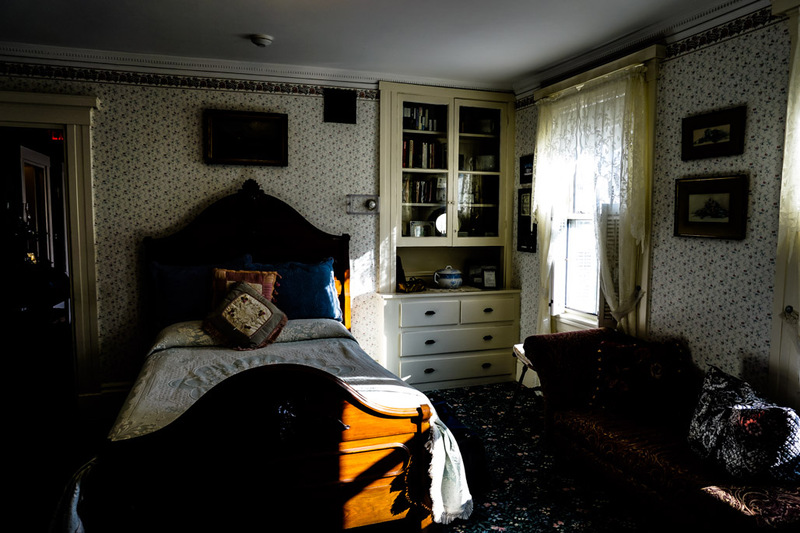 Emma Borden’s (sister of Lizzie Borden) former bedroom. Following the group tour guests were able to retire to their room or use the Ouija Boards and Dowsing Rods provided in the lounge room. 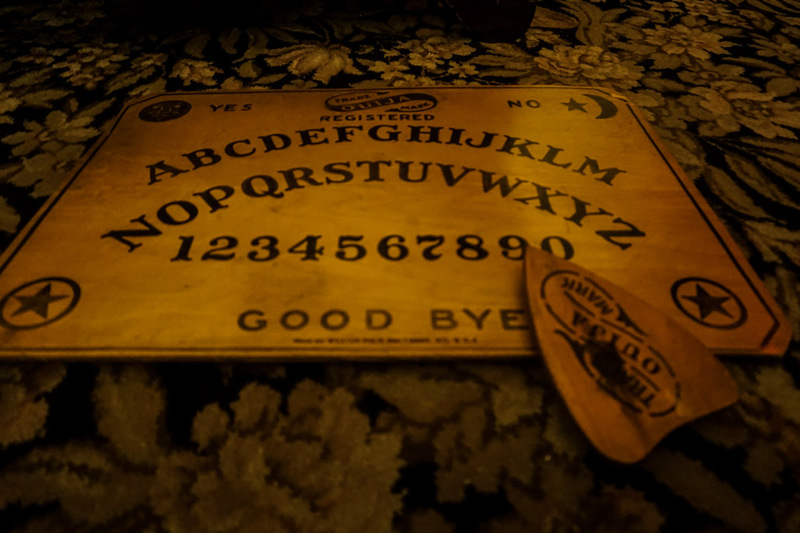 Ouija board on display and for guest use inside the Lizzie Borden house. I cannot recommend a stay at the Lizzie Borden Bed and Breakfast enough! 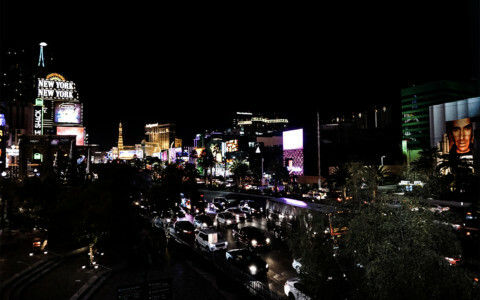 It is a memorable experience offering its guests much more than simple lodging for the night. Rooms are extremely comfortable, yet I cannot guarantee you’ll get a good sleep. Especially if you’re one who is nervous of things that go bump in the night. The Borden family plot at the Oak Grove Cemetery in Falls River, where Lizzie Borden is buried at the foot of her father, Andrew Borden. If you’re looking for other haunted places to spend the night, it’s worth checking out the Fairmont Hotel in Vancouver. Great story Amy, I bet you didn’t get a good night sleep. Thanks for giving this a read and commenting! Luckily I was so worn out before my stay, that I did actually sleep very well. I also didn’t feel anything negative within the house, which definitely helped out too.